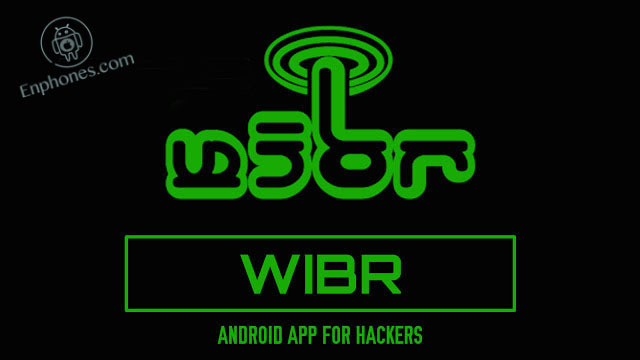 WIBR is an android app that you can use to break into a password protected (weak) WiFi network. It is actually a brute forcer that allows you to perform a dictionary attack on the target. Dictionary attack tries passwords from predefined list one by one. Please don’t be disappointed if the password will not be found, it simply means that it was not in the dictionary. However, if the key is set to “12345678” or “password” it will be detected. WIBR supports importing of your own password lists, so you are not limited by pre-installed dictionaries! 2. Open the app, you will see a screen like this, Click List Networks. 3. 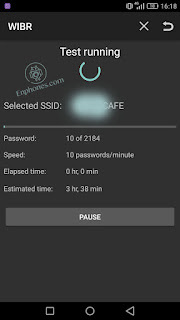 Here you can see the list of the available wifi networks and select that you want to crack. 4. 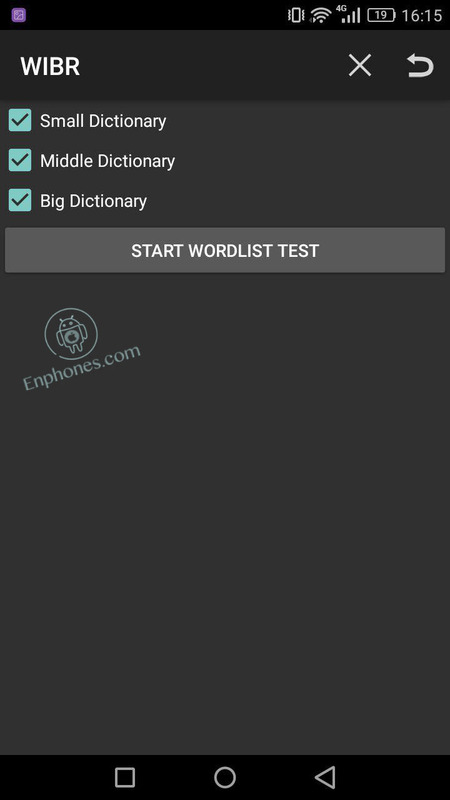 Now select dictionary that you want, There are 3 predefined wordlist which you can use. These dictionaries contains all commonly used passwords. 3. Wait for results. 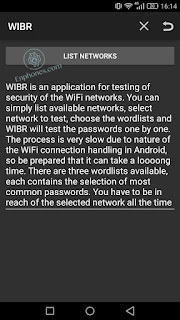 The process is very slow due to nature of the WiFi connection handling in Android, so be prepared that it can take a long time. 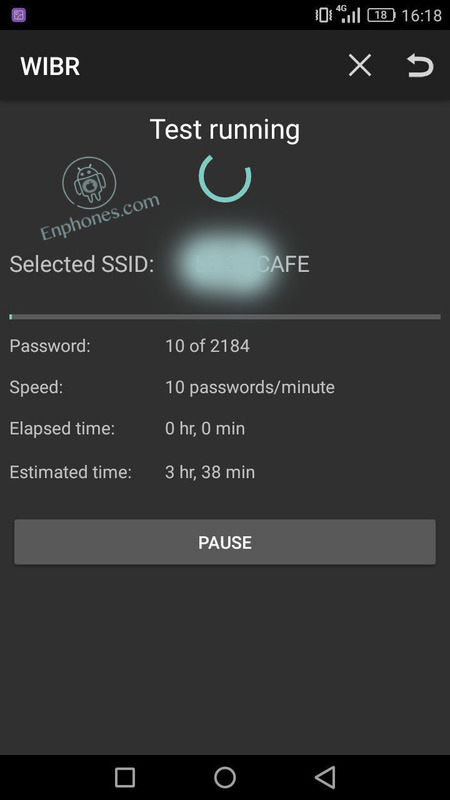 10 passwords/minute is considered good speed. 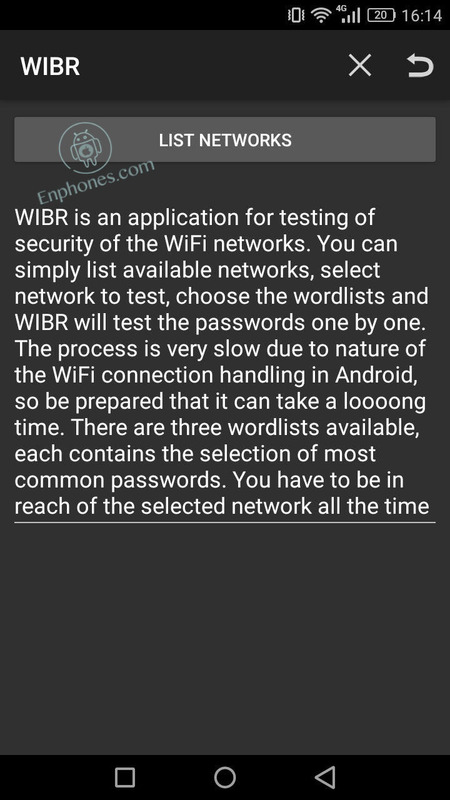 Please note that WIBR+ will change password for the selected network. It is impossible to get this password back. If you are testing previously saved network then the password will be lost. you are trying to test network with weak or unstable signal or in very “noisy” environment (i.e. many networks on same channel) you are trying to access network which is using so called MAC filtering so only explicitly allowed devices could access the network. The solution is to try WIBR+ on another network with good signal.